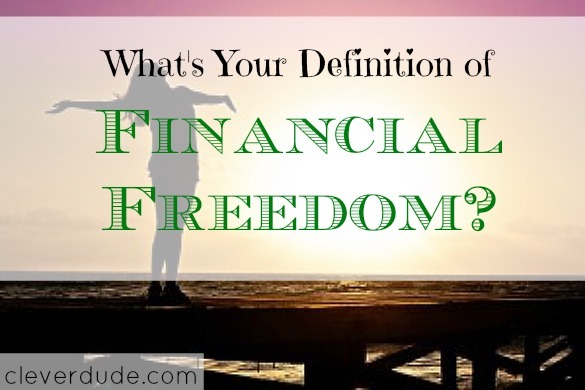 What’s Your Definition Of Financial Freedom? A few hours later, the point was driven home. His checking account balance was just over $100 Thursday evening, and then a nice sized paycheck from his part time job hit his account Friday morning. He had barely spent any money in over a week. With the excitement of Christmas and the New Year, he had lost track of the last time he got paid. He had curbed his spending thinking he had to make his money last another week. It didn’t matter that it was payday because he had plenty of funds in his checking account. As most teenagers, my son doesn’t have a lot of financial responsibilities. 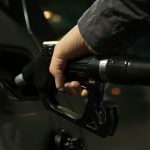 A specific amount of each of his paychecks is automatically transferred to savings, the car he drives is owned by my wife and I, his car insurance has already been paid, and he had just filled the gas tank. His expenses were all paid, and the money in his account is for him to use for whatever he’d like. Yet, he chose to curb his spending and maintain a significant balance. He had enough funds to last him for quite some time. Suddenly that quote I had heard earlier in the day resonated. Imagine your finances being in such such a state where your bills are so low and the funds you have in the bank are a big enough of a cushion such that it just flat out doesn’t matter when the next payday was. The funds in your account are all yours, to do with what you will. You can spend them as quickly, or as slowly as you wish. That’s a perspective of financial freedom that I’ve never thought about before. To be able to wake up and find out at some point that a paycheck had been deposited and think to myself, â€œOh, that’s right, today was payday,â€ but knowing that even if it wasn’t my finances were just fine. That truly would be financial freedom. What do you think of this perspective of financial freedom, Clever Friends? That’s a great way to look at it. For me, it would be to be able to make a really big purchase or make a job change or something else that’s a ‘monumental’ type decision without having the first question being “Can I afford this?” Obviously, unless you’re Powerball rich, you are going to ask this at some point, but to not have it be the very first question would indicate that I’ve achieved financial freedom. Financial freedom for me (at this moment in time) is being able to know I will have enough money for the next month plus get closer to reaching my debt payoff goals. Once I’m debt free financial freedom will be having enough socked away for retirement and once I have more than enough for retirement, financial freedom will mean not thinking about money again as a dial that controls my life in some way. At that point money will only accompany and contribute my life, not control it. That’s not a bad perspective. I’ve never thought about it as low bills but enough money to set up automatic payments and then forget about it all, knowing that the bills will be paid and you still have lots of money available for everything else. For me, that would be true financial freedom. @MoneyBeagle – I like your definition….it’s all about having the ability to make choices. Thanks for your comment! @Sylvia – Exactly! Instead of having your money control you, have you control your money! @Mrs. Lewis – your comment brings up a good point…not only does financial freedom mean something different to everyone…but the definition can and likely will change over time. Thanks for sharing! @Mitch – Not a bad place to be at all! It feels good to have all your bills paid, and have enough left over to have some fun…..life is good, right? Thanks for reading!